Jack Moon blank duct plug 15D183U 1 1/2" Lot of 10 Ships Fast!!! Hose connection on housing-motor side. CCWSE Rotation. 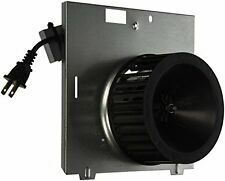 New ListingICP Heil Tempstar Furnace Blower Wheel Squirrel Cage 96839 - 10" x 9" x 1/2"
This is a brand new module ........... I am not endorsed, sponsored or affiliated with the brand name owner. I am not an authorized dealer, distributor, re-seller or wholesaler for the brand listed in this auction. Reference: 2C915, 7021-3483, Fasco 50752-D230. Automatic Overload Protection. Ball Bearings. Note: Blowers have wire leads, no power cords, plugs or switches. 230 Volts, 50/60 hz. The information on this page is all the info we have. These have never been used. One unit has the cable and other does not have that cable. The boxes are in very good condition all as visible in the pictures. Specializing in the “unusual” and “bulk deals.”. Made in USA. These Fasco Electric blowers / fans are sold as complete assemblies. Fasco Catalog # 50748-D500. 3200 RPM Shaded Pole Blower. The information on this page is all the info we have. Be sure to. Trending at C $103.44eBay determines this price through a machine-learned model of the product's sale prices within the last 90 days. 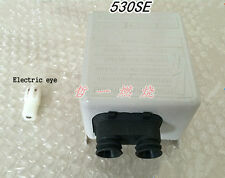 Rittal SK3321027 Fan And Filter 125MA 24VDC 3.0W ! WOW ! Designed to fit models: 8663RF, 8663RFT, 8663RLG, 8663RMAB, 8663RMBR, 8663RMSA, 8663RP, 8673RP, VL3668RLG, VL3668RMAB, VL3668RMBR, VL3668RMSA, VL3668RP. For Use with Model 8663RP "A" Housing Only. Nutone Fan Assembly. Fits Nutone model QT80. Product TypeBath Fan. Single Speed. Product Details. Motor 2-1/8" Body length. Product TypeVent Motor. Single Speed. Product Details. Totally Enclosed. Newer R410A Ductless Mini Split Systems are usually equipped with a different charging port size to avoid charging of wrong refrigerant into the system (ie R22). Port adapter converts the 5/16" SAE ports to use with 1/4" SAE gauge sets. 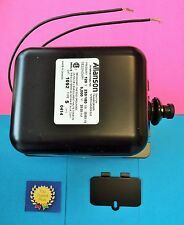 For Use with Model 8663RP "A" Housing Only. Nutone Fan Assembly. 1550 RPM's. Motor Specifications Single Speed. CCW Rotation viewing the blower wheel. Has stud on mounting bracket for cover to screw onto. Broan Fan & Motor Assembly 97009796. Number on motor is 99080351. Number on blower wheel is 99110872. Motor Specifications Product Details. Designed to fits models: 162-E, 162-G, 162-J, 162-K, 162-L, 162-M, 164-E, 164-G, 164-J, 164-K, 164-L, 164-M.
Motor Specifications are Auto Overload Motor. Product TypeBlower Motor. Product Details. Gasket Included. CAUTION: Taco “00 Series” circulators are designed for indoor use only. Taco circulators are designed to operate with water and most glycol solutions. The addition of certain chemical additives may cause early failure and void warranty. 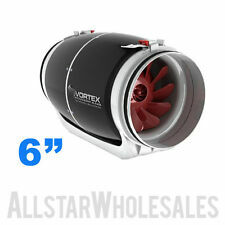 These Rotom Electric blowers / fans are sold as complete assemblies. Rotom Catalog # R7-RB445. The information on this page is all the info we have. Rittal SK-3325.107 Fan With Filter 230V 50/60Hz ! WOW ! Floating w/Switches. New in the sealed box. This is a unused Honeywell Primary control. Universal digital oil. The box has wear and the inserts and directions are not included. 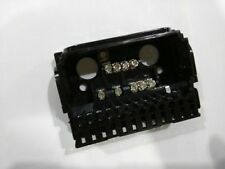 The part number is R7284U1004. Please check the pictures as they are a part of the description. 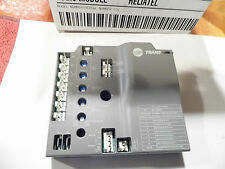 It has three Form C relay outputs and a DIN-rail mount.". The DO-20 module can be mounted via a DIN Rail or directly to a panel. The DO-20 includes individually fused relays. DO80-LED Output module or Continuum DM-20 I/O module. Lennox 67K0401 Jakel Windjammer 117813-00 110523-00 Furnace Draft Inducer Blower Assembly. Nice used condition. Removed from a working unit. Turns freely and quietly. Wires and connector in good shape. Check photos. New motors are WAY too expensive. Lots of life left in this nice used unit. Make sure the numbers match what you are replacing. I ship quickly upon payment. One New Whitfield Stove Blower 1/35 HP, 3000 RPM, 115 Volt Rotom # HB-RBM121 RBM121. 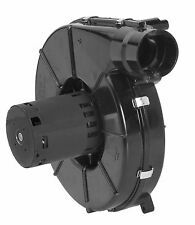 Whitfield Profile 20 & 30 Stove Room Air Convection Blower Fan - 12146109, 12126109. 3-3/8" x 3-3/4" bolt hole spacing ( center to center ). One finger is all you need to program it. The standard digital display and keypad allow the user to adjust the temperature settings with 1° resolution. Setpoint temperature, differential and mode of operation (heating or cooling) can all be selected using the keypad and display. Hvacstar SA-2P-30A-208/240V. 2 POLES, 208/240V AC COIL, UL,CSA, CE Certified. We'll try our best to help you solve the problem. Trending at C $80.04eBay determines this price through a machine-learned model of the product's sale prices within the last 90 days. Suitable for Airstream Temperatures up to 140°F (60°C). Built with double insulated walls, noise is reduced to levels that were previously thought to be unattainable. All S-Line models are assembled with high impact resistant polycarbonate casings, an integrated back draft damper and a mounting bracket designed for quick and easy installation. Honeywell PA404A 1041 1 Pressuretrol Controller 3 To 15 PSI NOS. Condition is New. Shipped with USPS Priority Mail. Fits Broan LoSone Select Ceiling Mount In Line, Ceiling and Kitchen Use Ventilator Models L300, L300KMG, L300L. 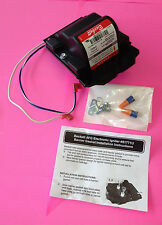 Broan Nutone Motor part number S99080485. Motor Specifications Body Length of motor is 4-3/8". The Taco Electric Water Feeder works in conjunction with the Low Water Cutoff to maintain safe water content in the boiler. All operations are externally indicated by a multi colored light. CAUTION: Taco “00 Series” circulators are designed for indoor use only.